Yokogawa has the tools and rich experience to build control and instrumentation solutions offering tangible benefits for petrochemical companies. Fluctuations in raw material prices and product supply and demand make it absolutely essential to optimize production planning. Yokogawa offers a production management system that bridges the gap between planning and manufacturing for optimal scheduling of petrochemical processes. Real-time Production Organizer™ (RPO) is a suite of platform applications developed specifically to bridge the gap between production planning and process control, providing a fully integrated business to process (B2P) production environment. To stay competitive in the global market, the optimization of processes throughout a plant is no less necessary than the development of a competitive product offering that meets specific user needs. 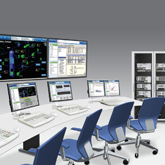 Yokogawa provides plantwide automation solutions that enable the agile and flexible control of petrochemical production workflows and are fully integrated with a safety instrumented system. The CENTUM VP integrated control system secures interruption-free "uptime only" plant performance for optimal productivity and profitability. 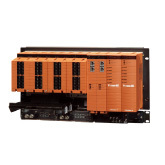 The ProSafe-RS safety instrumented system enables truly integrated solutions while delivering the high availability required for safety integrity level 1-4 (SIL1-4) applications. vigilantplant services.® is a suite of comprehensive services that realize Yokogawa's VigilantPlant concept, helping manufacturers achieve safe, reliable, environmentally friendly, and profitable plant operations. Petrochemical plants consume enormous amounts of energy, so energy saving initiatives at these facilities can go a long way to achieving cost competitiveness and reducing the CO2 emissions that contribute to global warming. One key means by which this can be accomplished is optimizing control of the production process. 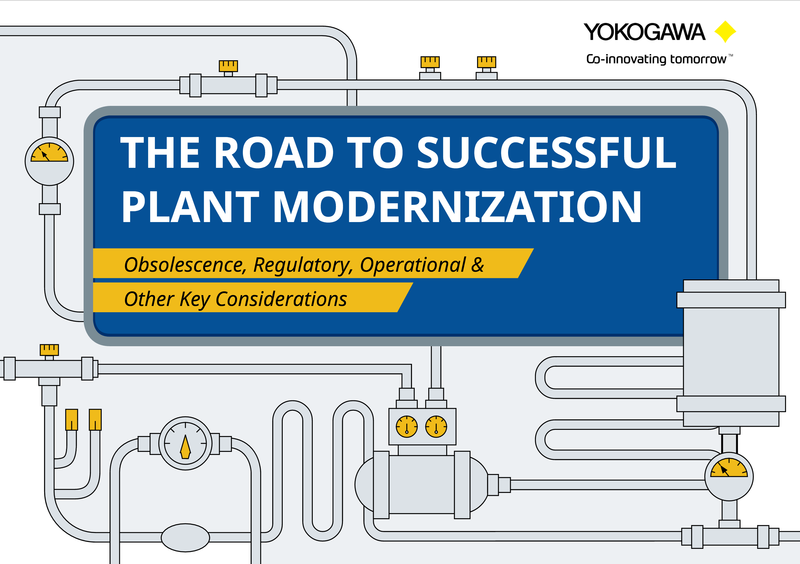 Yokogawa's advanced process control systems make it possible for plants to operate with increased efficiency, thereby reducing energy consumption and CO2 emissions. Integrated, validated and timely operational information supporting continuous improvement initiatives and optimization of production performance. Customers face major challenges in achieving efficient plant operations that involve managing quality, cost, delivery time, and environment (QCDE), which are essential elements for improving productivity and profitability. Yokogawa provides real solutions to these challenges based on the VigilantPlant vision for a sustainable future. One of the most fundamental and often overlooked factors for maximizing revenue is the reliability and maintainability of automation systems. 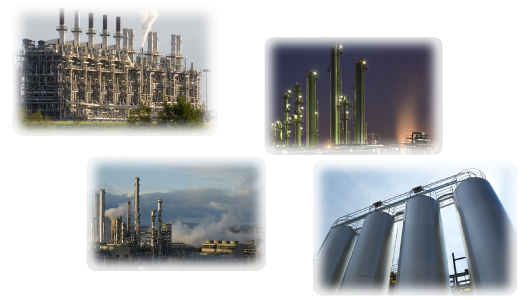 Utmost system availability is a key prerequisite for petrochemical plants. All automation suppliers take system reliability - a key factor for petrochemical plant availability - seriously. However, none matches Yokogawa in its extreme commitment. At the heart of all of the Company's systems is the unique "Pair and Spare" controller architecture, consisting of a redundant set of CPU modules that, in turn, each contains two micro processors. The two micro processors constantly compare each other's outputs, initiating a bump-less switchover if any mismatch is detected. The actual availability track record of Yokogawa CENTUM VP distributed control system (DCS) reaches 99.99999% (seven 9s). 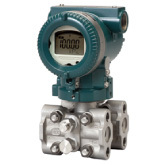 Yokogawa's safety instrumented system, ProSafe-RS, is the world's first, truly integrated safety instrumented system. Its integrated architecture with the production control system enables unified monitoring and an operation environment for the operator. TÜV Rheinland (TÜV), a German certification organization, has certified ProSafe-RS to be compliant to both IEC 61508 and IEC 61511 international standards. Additionally, TÜV has approved its use in Safety Integrity Level 3 (SIL3)*1 applications, such as emergency shutdown (ESD), fire and gas (F&G) and boiler management (BMS). This latest certification of IEC 61508 and IEC 61511 compliance attests to the high level of Yokogawa's technology and the quality of its safety instrumented system. (*1) To be certified for SIL3, safety systems must be tested by a third party for a risk factor that Measures less than 1/10,000. 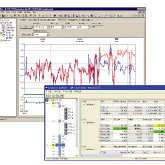 By taking advantage of FOUNDATION fieldbus™, or HART connections with the field devices, Yokogawa's asset management system greatly improves device maintainability that reduces maintenance costs. Now maintenance staff can gain access to field device information anywhere anytime. 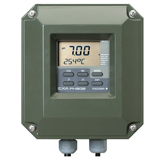 The system enables staff to set and modify field device parameters, and to check detailed device alarm information. Standard audit trail management allows the tracking of changes to device information. Yokogawa's innovative asset management system provides all the functionality necessary for efficient maintenance of your field devices. Yokogawa is an automation supplier with extensive hands-on understanding of the usage of information for complex and varied petrochemical production process. 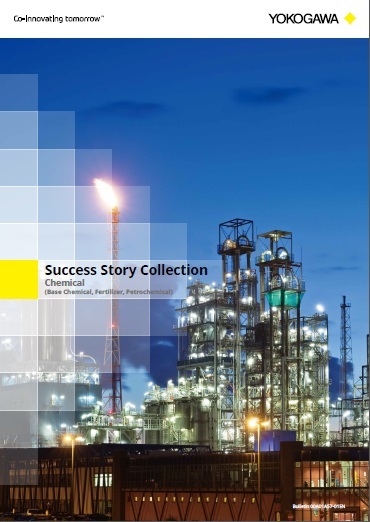 Yokogawa is a premier supplier of integrated plant-wide automation solutions that delivers agility and flexibility to the petrochemical production workflow. Smooth migration to CENTUM CS 3000 at production facility. While the pellet transfer section previously relied on customized software, it now uses the CS Batch 3000 package. Exaopc provides interfaces compliant with each of the DA, A&E and HDA specifications laid down by the OPC Foundation. 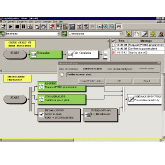 Ever since Exaopc was put on the market in 1999, it has been used by many OPC client programs including Plant Information Management System (PIMS), advanced operation support packages and advanced control packages as a common interface for looking up process data. The number of work steps involved in engineering a batch process tends to become extremely large compared to continuously controlled processes, if the work is automated using a DCS. This is due to the nature of batch processes and the plants that handle these processes. Remarkable progress in information technology has led to open architecture systems and networking in the manufacturing industry. In such industry, remote monitoring systems based on public communication lines or the Internet, and or collaboration of control, information, and corporate systems based on standardized interfaces such as OLE for Process Control (OPC) are now widely used via networks. Yokogawa has formed an alliance with Shell Global Solutions International B.V. (SGSI) for advanced process control and has been jointly developing related products since then. 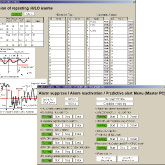 As part of this collaborative work, we commercialized the Exasmoc multivariable model predictive control package and the Exarqe robust quality estimator package in 2000, which are used to control DCS and PLC systems based on SGSI's multivariable predictive control and quality estimation algorithms—namely, SMOC (Shell Multivariable Optimizing Controller) and RQE (Robust Quality Estimator). The operating principle of the vortex flow meters YEWFLO series, which first became commercially available in 1979, is based on the phenomenon in which the frequency of a Kàrmàn vortex train that occurs from a vortex shedder placed in a fluid flow, is proportional to the speed of that flow. Reducing energy consumption and CO2 emissions due to the operation and maintenance of plant equipment is becoming a global challenge. Yokogawa offers the InsightSuiteAE plant asset effectiveness optimization services, including the Asset Performance Diagnostics service, as solutions for plant assets to address such challenges together with customers. Almost 20 years have passed since MVC came into use commercially. At first, MVC was only used in large-scale petroleum and petrochemical plants, because at that time computers were expensive and incapable of the performance required to execute an MVC package. In 1999, Yokogawa Electric Corporation formed an alliance with Shell Global Solutions International B.V. (SGSI) in Advanced Process Control (APC), and both companies have since jointly developed products. This alliance successfully combined SGSI's experience gained through more than 800 projects in more than 30 years and Yokogawa's great deal of experience with the process control market, and strengthened the scheme to provide the APC technology. Ultrasonic Vortex Flow Meter "Ultra YEWFLO-UYF200"
Vortex flow meters were put into practical use in the 1970's; thus their history is relatively short. 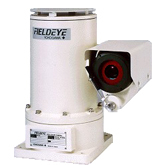 They have been mainly used at petrochemical plants because of their two main features, the fact that they do not have any mechanical moving parts and are maintenance-free. Yokogawa started research and development on the vortex flow meter before 1970.